It’s no secret that medical cannabis can be a powerful tool for those looking for pain relief. In fact, 93 percent of patients who use cannabis for this purpose say that they prefer it to traditional opioid painkillers. Do you suffer from chronic pain? Have you exhausted all your other pain relieving options? If so, it might be time to give medical cannabis a try. Never used medical cannabis before? Not sure which strain you ought to try? 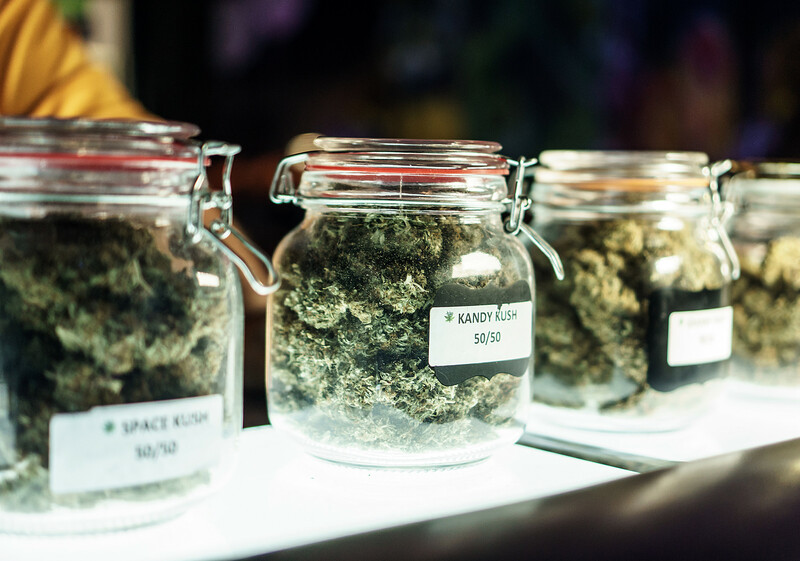 Read on to learn more about the six types of weed strains that are best for pain relief. Based on the statistic mentioned above, it seems safe to say that cannabis is an effective painkiller. What makes it so effective at relieving pain, though? CBD (cannabidiol) and THC (tetrahydrocannabinol) are cannabinoids in the cannabis plant that do a great job of minimizing inflammation in the body. This, in turn, helps to minimize pain. The effects are similar to those of NSAIDs (Non-Steroidal Anti-Inflammatory Drugs). Cannabis also helps to modulate pain signals and minimize the body’s sensitivity. In addition to relieving physical pain, cannabis consumption can also improve one’s mood and reduce feelings of depression and anxiety. This, in turn, can have a positive effect on one’s level of pain. This is especially noteworthy when you consider the fact that many people who suffer from chronic pain also suffer from poor mental health. As you can see, there are many reasons why cannabis is an effective tool for those struggling with chronic pain. ACDC is one of the most effective cannabis strains on the market for pain relief. It is high in both CBD and THC. Cannabis strains that contain high amounts of both of these cannabinoids do a great job of minimizing pain. With strains like this, the CBD and THC work together to reduce inflammation and pain. CBD also helps to modulate the mind-altering effects of the THC. People who consume ACDC report feeling high levels of relaxation and moderate levels of euphoria. White Widow is a hybrid strain made by combining South Indian Indica and a Sativa strain known as South American. Sativa strains are known to be more energizing, while Indica strains tend to be more relaxing. The combination of Indica and Sativa yields excellent levels of pain relief. It also helps those who consume it to feel uplifted and euphoric without being agitated or paranoid (which can sometimes happen when consuming predominantly Sativa strains). White Widow is very beneficial for those who suffer from chronic pain that is made worse by high levels of stress or depression. When it comes to treating chronic pain, another great strain to consider trying is Blackberry Kush. Blackberry Kush is a high-THC strain. Because of this, it’s meant for relaxing and winding down. It’s not a good one to consume at the beginning of the day or when you have a lot to do. Many people report feeling lazy and sleepy when they consume this particular strain. It might be a good one to try before bed, especially if your pain tends to keep you up at night. Bubba Kush is another high-THC, low-CBD strain that promotes relaxation and better sleep quality. Some people refer to it as a marijuana sleeping pill. If you struggle with insomnia or are kept awake at night by your pain, this is a great strain to try out. Remember, high-THC strains like this are not ideal for daytime use. Save them for when you’re having a hard time relaxing or winding down for the night. If you need to feel more uplifted and focused throughout the day, but also want to minimize your pain, AK-47 is a good strain to use. AK-47 is a cannabis mix made by combining South American, Thai, and Mexican Sativa strains with Afghani Indica. AK-47 does a great job of minimizing pain while also relieving feelings of stress and depression. Because it’s a Sativa-dominant strain, it’s best to consume it earlier in the day so you can feel uplifted and energized. For those who want maximum pain relief without a lot of mind-altering effects, Harlequin is the strain to try. Harlequin is high in CBD and low in THC. It helps to minimize pain while still promoting clear-headedness and helping you to feel uplifted and energized. It’s a great option for those who are looking for daytime pain relief but don’t want their focus or senses dulled at all. What if Weed’s Not Legal for You? If you live in a state where cannabis has not been legalized, you won’t be able to make use of any of these strains. You can still experience the pain-relieving benefits of cannabis, though, by consuming CBD oil or other CBD-infused products (vapes, topicals, etc.). CBD-based products will have a similar effect to high-CBD strains of cannabis. They’ll help to minimize your pain without leaving you feeling fatigued or “high” in any way. 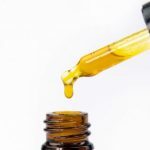 If you’ve never consumed CBD oil before, these pointers will help you consume it in a way that will maximize your results and ensure you experience the pain relief you need. Now that you know more about the six best types of weed for pain relief — and an alternative for people who live in states where cannabis isn’t legal — it’s time to go out and find the perfect strain for you. Keep this information in mind to make sure you pick out the right strain and experience the greatest pain relieving benefits. 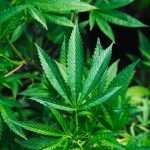 Do you want to learn more about the health benefits of medical cannabis? Or, do you need tips on the best ways to consume cannabis to manage your specific symptoms? Either way, we’ve got information for you. 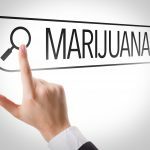 Check out the Legal Cannabis section of our site today to learn everything you need to know about using medical cannabis.